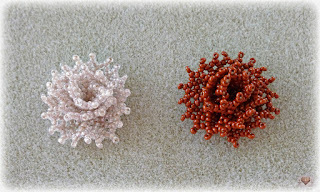 I was searching for books focused on netting stitch that could help me go deep in this technique, but I found only three: the Netted Beadwork by Diane Fitzgerald, Bead Net by Heather Kingsley-Heath, and Mastering beadwork by Carol Hurber Cypher (this one focus on several different techniques, including netting). To start, I chose the book Netted Beadwork by Diane Fitzgerald. I bought it second-hand on amazon because I couldn't find any store selling a new edition. You can see HERE the list of all selling this book (used) on amazon. I chose one described as "used - very good condition". In fact, the book I received was in good condition. The upper corner in the right is slightly crumpled, but I believe it was due to the delivery, because my package was smashed and soaked (it was a rainy day). And the tags were added by me, to mark the pages of projects I'm most interested. The book begins with a chapter explaining how netting is a really old technique and how it has been used by different cultures like China, India, South Africa, Egypt, etc. 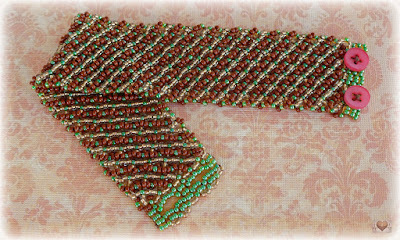 Diane has an impressive collection of antique netting beadwork and she shares some of it in her book. Unfortunately the pictures are small, you can't see the details very well. 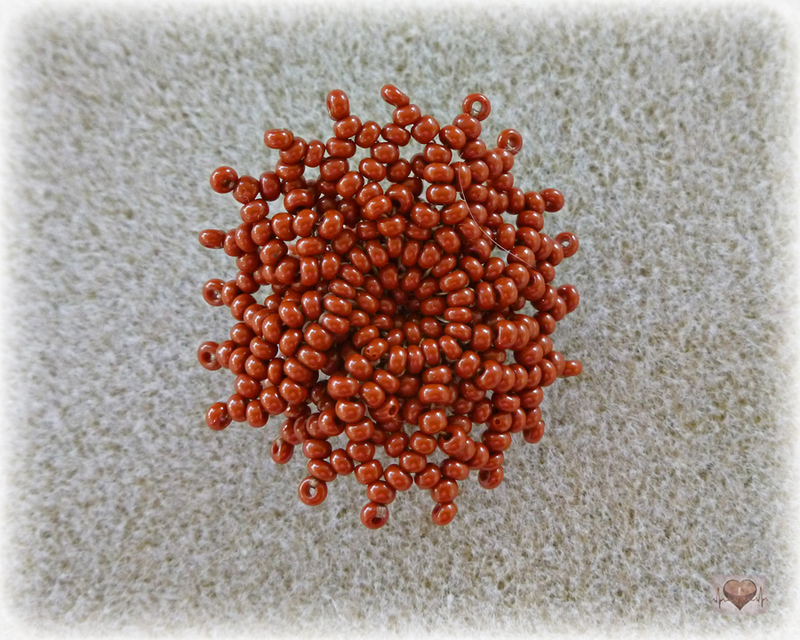 There are also 18 projects exclusively using netting stitch (flat, circular and tubular). I was fascinated by the different things you can do using only netting. I didn't know this stitch could be so versatile. The projects are quite inspirational, in my opinion. And once you understand the basis of netting, you'll find that they aren't difficult to make. But I found some projects a bit difficult to comprehend. For example, there's a small one called "Rose on Netted base" that I'm not sure if I made it correctly. I didn't understand the instructions well, and the picture of the finished project didn't help me either. It may be just me, but I wish there were more diagrams explaining the steps. 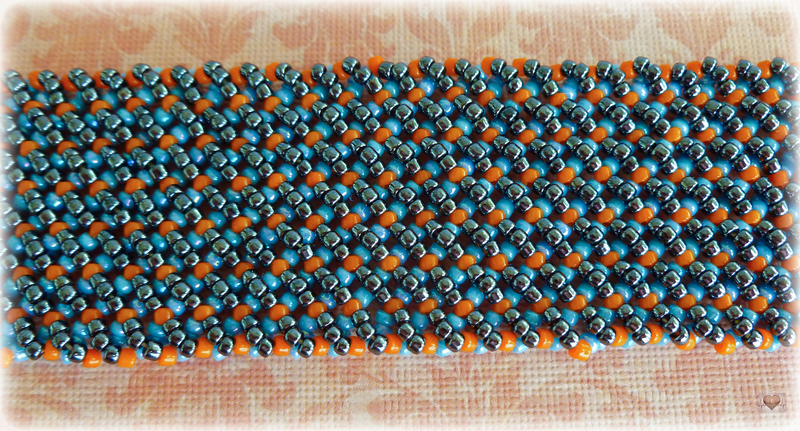 Next picture is a netted bead. 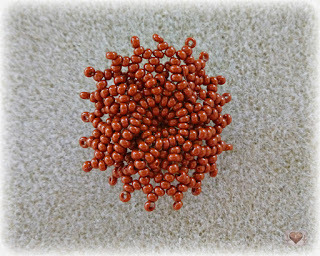 I used Toho beads size 11/0, but they're big for the project. I think that 15/0 would work better (it would require some changes in the pattern, though). 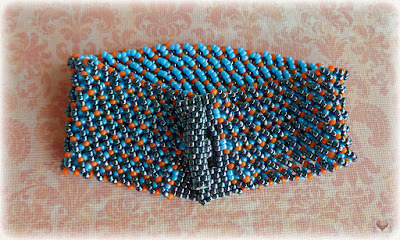 I really enjoyed making the double netting bracelet. 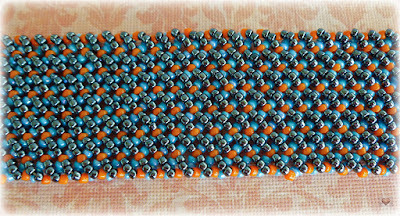 The second one I tried to make it reversible, so I could use it with either the blue or gunmetal side up. But as you may have noticed, it isn't possible to wear it in both sides. 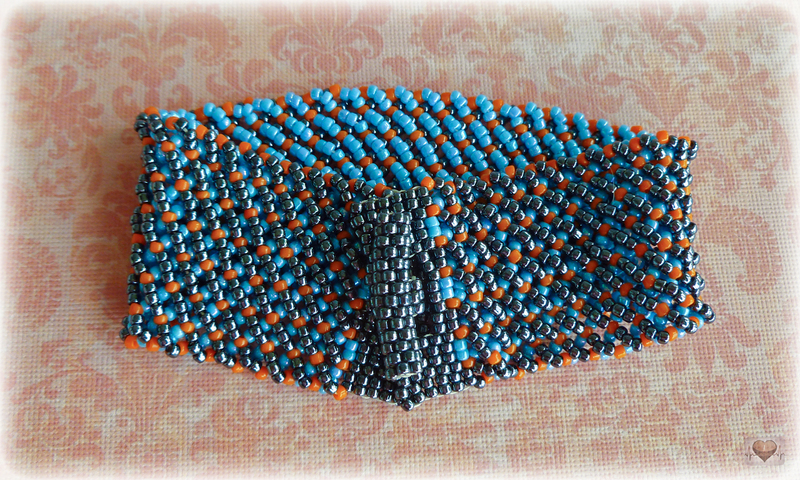 I made a mistake attaching the T part of the toggle clasp on the top of the bracelet. I can only use it with the gunmetal side up. There are other projects in the book that I want to make. Now I'm working on the Lacy Chain necklace. I'll post a picture when I finish it. 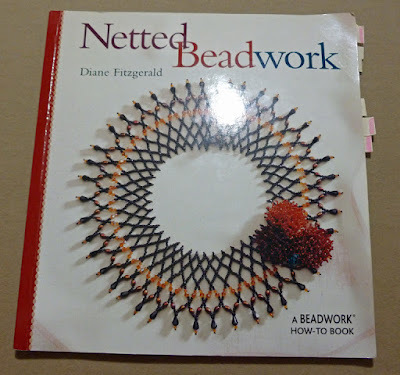 Overall, I would recommend this book for those who are new to netting stitch but are not new to bead weaving in general. The instructions aren't so easy to understand, some pictures and diagrams are not aligned with the instructions. Therefore, I believe that some experience with beading is necessary to comprehend it. But I'm happy with the book. 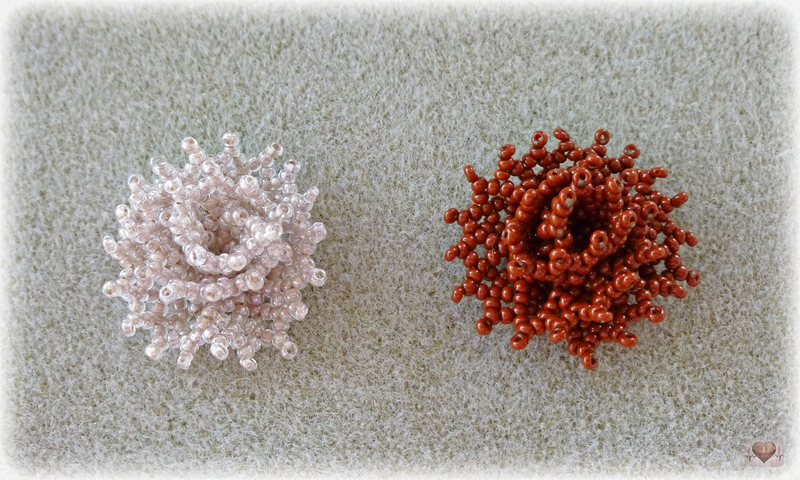 It inspired me a lot and I think you'll see some new netting tutorials in this blog soon.